I am trying to get the contact points of two 2D Colliders (circle and box) which are moving towards each other and eventually overlap. The Maximum Amount of Contact Points would be 8, So I created an Array to store the results which is greater than 8. Now I get as a return only one contact point which seems to be a point in the middle or an average value of the overlapping area. Is this a normal behaviour? How do I get all points of intersection of the Colliders? That object will only have 2 contact points, that are the points were both intersect, if you are getting one is becaouse one (or both) objects are being pushed away and they are only contacting once, force the rigidibodys to freeze position so that they dont move and you will get both contact points. I added a counter which is initally 0 and starts counting as soon as the elements touch each other, to be able to stop moving the elements. Can you please Freeze position of the rigidbodys? Then there will be 2 contacts. the exact same second the object stops moving will the one with rigidbody (or both) be pushed outside since rigidbody not trigger cant overlap, and thats why they will only be one colllisiom. Aaah you mean for example make it kinematic? but still, only one contact point. 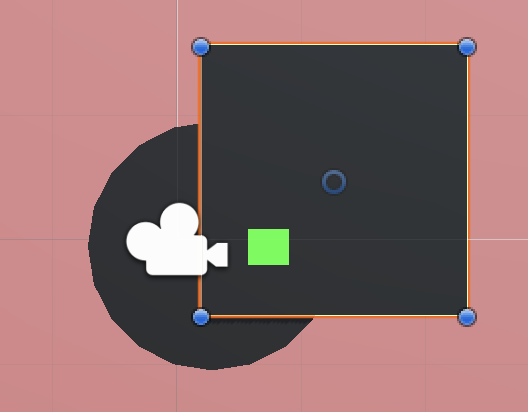 This script is active for both objects, so both objects will be kinematic after touching and stopping their movement. I also tried it with a third element. I received then 3 contact points where I expect 4. Also kind of randomly positioned. You can see 4 different contact points but each element has only three though. I tried it this morning, stop moving and freezing both X / Y Position of both objects and with a second try only of one object and still receive only one contact point.